To mourn is to express sorrow or grief over the loss of something or someone. We think of mourning especially in the context of the death of someone that we love. When this one is gone, we mourn. We weep, we feel empty inside, and the world to us has lost its color. This is what it is to mourn. disciples of Jesus and is still intended for his disciples. When Jesus said to his disciples, “Blessed are those who mourn,” the mourning over the death of someone is included in this blessing. Jesus put no conditions on the cause of our mourning, but only the promise that we shall be comforted. But there are other types of mourning. In fact, the New Testament writer James even instructs us to mourn. He says, “Be miserable and mourn and weep; let your laughter be turned into mourning, and your joy to gloom (James 4:9 NAS). Why would James instruct us to mourn? It certainly cannot be in the context of mourning over the death of someone we love. Under normal circumstances, that type of mourning comes naturally. We do not have try to mourn. It is true that there are times, when someone who has lost a person that they love, that they keep their feeling bottled up inside. These have to be encouraged to let their mourning be expressed outwardly. But this is not the type of mourning that James is talking about. But if it is not this, then what is it? Some have suggested that it should be mourning over our sinful condition, but neither do I think that this is primarily what James is talking about. Nor Jesus for that matter. Like Jesus, James was talking to believers – those who followed Jesus and who looked to him to deal with their sin. This does not seem to me to be a cause for mourning, but for celebration! Rather, I think that Jesus and James were talking primarily about the kind of mourning that we should be doing in our society today. I refer to mourning over the condition that we have allowed our social order to sink. To be able to see this, it may first be helpful for us to look at the other places in the New Testament where this word, to mourn (Greek word pentheo), is used. Jesus used the word two other times in the New Testament. The first use is in Matthew 9:15. He said to his listeners, “Can the wedding guests mourn as long as the bridegroom is with them? The days will come when the bridegroom is taken away from them, and then they will fast” (ESV). In this example, the mourning does not take place when the bridegroom is present, but when he is taken away. I should say that references in the New Testament to the bridegroom usually have a symbolic reference to Jesus himself, the Messiah. But the point that is important in this discussion is that the guests mourn (they fast) at their loss of the bridegroom. The other time that Jesus used this word for mourn is in Luke 6:25. 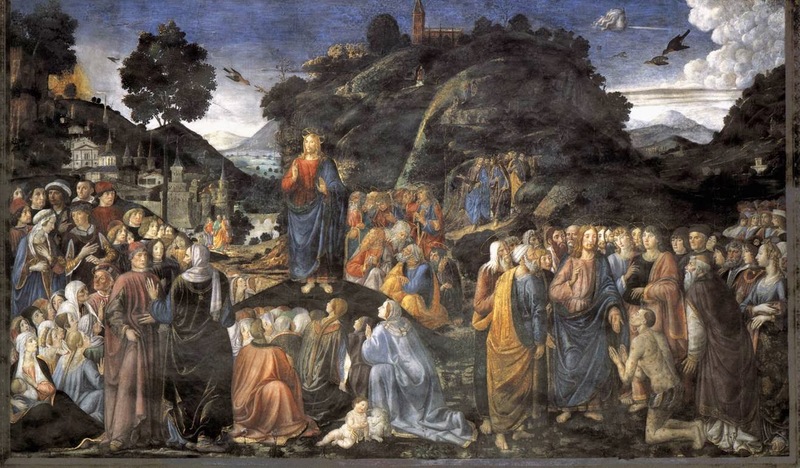 This is also in the context of the giving of the Beatitudes, but it is on a different occasion and this time was to not only the disciples of Jesus, but to a crowd of people, both believers and non-believers. After talking about the blessings of God to this crowd, Jesus begins to recite the woes of those without God. Jesus said this: “Woe to you who are full now, for you shall be hungry. “Woe to you who laugh now, for you shall mourn and weep” (ESV). Here again we see that there is also a mourning, but in this case there is no promise of blessing. Instead, it is a mourning that is taking place because of the loss that the ungodly feel for all of their worldly possessions. Mourning of this type will be vividly seen in the expressions of the “Kings of the Earth” in the future during the last days. This is recorded for us in the book of Revelation. These kings will witness the fall of the city of Babylon, which may or may not be a literal city, but with certainty, it is the representation of the pinnacle of the world economic system. I am going to quote quite a long portion of scripture, but it is worth reading every word. I have underlined the three uses of the word mourn (pentheo). This is the mourning of the ungodly. This is the mourning of all who have placed, still do place, and will place their hopes of fulfillment in this world’s goods and economic system. There is no promise of comfort here, no blessing. This is a type of mourning without blessing. This instead is the mourning included in the woes. What then is the kind of mourning that Jesus said will be returned for blessing? What then is the kind of mourning that James instructs us to do? To learn that, we will look at a couple of Old Testament examples. I will post this in a couple of days.